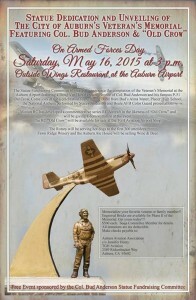 The Tri-Motor event is ever closer! This month’s BOD meeting will be mostly a Tri-Motor meeting, and will be at Tony’s Hangar. Meeting and pizza at 18:00 on May 6. This may be our last chance to address all the loose ends. All are welcomed…and encouraged to attend. Mr. John Hedges, a 40 year aviator will discuss various aspects of he found to be import as a pilot flying GA aircraft in the western USA (including Alaska) for over 30 years as an Aerial Survey pilot and as an owner operator. Hint: his discussions will help you with regards to precise navigation (by looking out the windows) and in your cross country planning process. Mr. Hedges has a wealth of knowledge and you will be pleased to attend this seminar. This will be the 107th monthly consecutive safety seminar at Benton airport since the inception of the new FAA FASTeam concept. The Ledger has an article about flying the Winged Winnebago Tri-motor. We need volunteers for the following events. Check that your sign-up details are correct, and that you’re signed up for everything you thought you were. Blank spaces are where we still have opportunities! You can still volunteer for this opportunity! Wednesday isn’t just tax day, it’s also our monthly Chapter Meeting. We are back ON with Summer time BBQ’s. Dinner should be close to 18:00, with the meeting following at 19:00. Hope to see you all there, at Tony’s (North side, closest to the taxiway) hangar. With extreme sadness that Ivan Karnezis informs us that last Friday afternoon, while working at the Sacramento Railroad Museum, Hugh Crawford had a massive heart attack and died. Hugh was a great friend, an interesting and fun conversationalist, a dependable Young Eagles worker, master BBQ chef, contributing Board Member, hard working Membership Chairman, and the one who always contacted the Chapter 526 membership. We will all miss him. Hugh’s wife, Alice has invited all of you and past members and friends to Hugh’s Memorial at the Railroad Museum in Old Sacramento: 17:00, May 2. A dinner will be served. Please RSVP to Alice. Bud Anderson (the author of “To Fly and Fight.”), a WWII triple ace (50th highest U.S. ace with 16-1/4 kills), will be honored by the dedication of a statue at Auburn airport on Saturday, May 16 at 15:00. 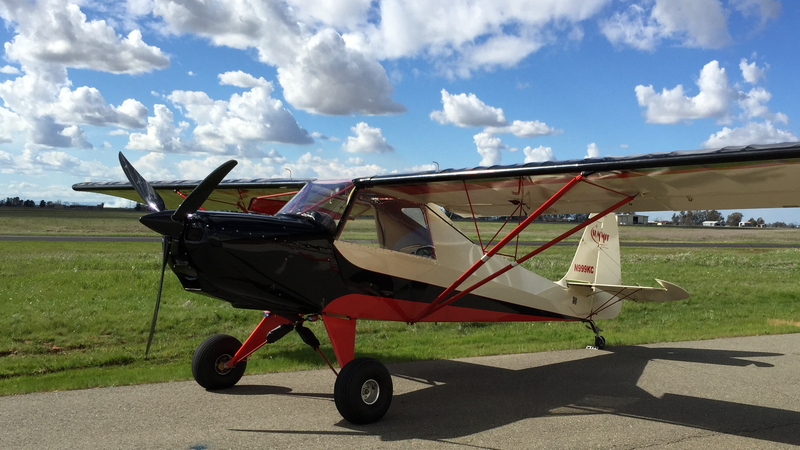 We continue to fine tune our Tri-Motor event, and there will be another meeting this Wednesday, April 8, at Pizza Roundup, 2270 Nicolaus Rd., Lincoln, 18:00. Anyone who wishes to participate should report to the gazebo near the fuel pumps at 08:00. The event is scheduled to run from 9 am – 1 pm.